Get the most out of your backyard or outdoor spaces with natural gas. Summer is officially here. Why not upgrade your backyard to the outdoor oasis you’ve always wanted? Natural gas is an affordable and environmentally friendly option to fuel your outdoor spaces and extend the summer fun! Grills are one of the most popular outdoor appliances. According to a 2017 consumer survey commissioned by HPBA (The Hearth, Patio, and Barbecue Association), 70 percent of U.S. adults and 80 percent of Canadian adults own a grill or smoker. About 10 percent of grill owners have a complete outdoor kitchen, including a mini-fridge, outdoor sink, seating and entertainment systems. And use of grills is expanding beyond the summer months, with the HPBA survey indicating that 29 percent of consumers plan to use their grill or smoker more often in the coming year. HPBA reports that gas grills are the most popular with 64 percent of consumers choosing gas over other fuel sources. Whether modestly sized and freestanding or large permanent structures, natural gas grills provide an always-ready cooking appliance. With more precise temperature controls than propane or charcoal grills, natural gas grills help produce more consistent cooking results and take the guess work out of outdoor cooking. Gas grills ignite quickly without the long warmup time required for charcoal grills, and the fuel supply is always available. 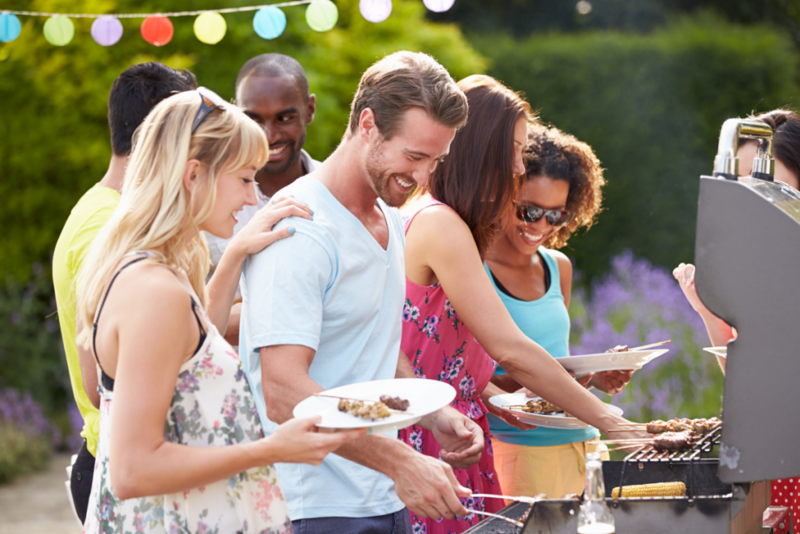 Unlike propane grills, there’s no chance of a tank being low or running out during a cookout. Because natural gas grills connect directly to your home’s existing natural gas line, the fuel is always available and ready to go. Adding fireplaces and heaters to outdoor spaces is a growing trend, with a third of those renovating backyard areas opting for an outdoor heating source, according to a 2017 U.S. Houzz Landscape Trends Study. Just as an indoor fireplace serves as both décor and heat source, outdoor fireplaces provide warmth, add flair and set the mood for outdoor living spaces. Outdoor fireplaces can be surrounded by granite, tile, stone or other material to fit the style of your home and landscaping. 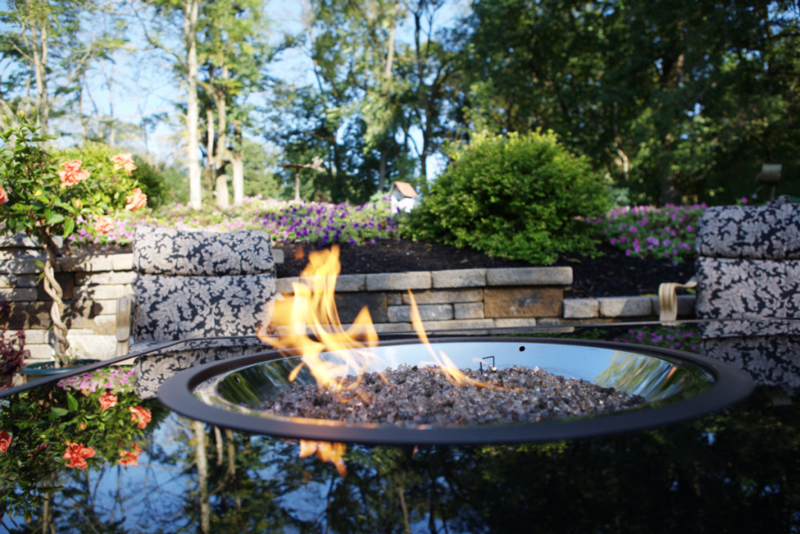 Some homeowners opt for fire pits to provide outdoor ambiance. Offering a focal point for outdoor gatherings, fire pits are an ideal place to gather around for casual conversation, roasting marshmallows or just enjoying the outdoors. Some fire pits even feature grills for cooking. While the heat doesn’t always radiate as far as a patio heater, fireplaces and fire pits combine the timeless appeal of a crackling fire with the convenience and safety of the latest natural gas technology. Because there are no sparks or hot embers flying about, gas fire pits and fireplaces are safer and can be located almost anywhere – even close to patio furniture or wood decks. There is also no hassle of gathering or buying wood or trying to start the fire. And, no need to clean out ashes after enjoying a cozy evening fire. Many outdoor living spaces feature a sitting area for entertaining or just relaxing. If you’re looking to increase the number of months you’re able to enjoy your outdoor space, outdoor heaters are essential. Patio heaters can generally warm a 12- to 20-foot area, helping to take the chill out of early spring or crisp fall nights. They are most effective when outdoor temperatures are between 40 and 60 degrees Fahrenheit and can be placed almost anywhere. Heaters can be permanently installed in-ground, deck mounted or hung from a roofline. Other heaters are freestanding and portable to allow for greater flexibility in use. Gas-fueled lights and tiki torches add the finishing touches to outdoor living spaces. Whether enclosed or with open flames, outdoor lighting fueled by natural gas offers a reliable light source, even during a power outage. And, while bugs flock to electric lighting, natural gas lighting does not tend to attract insects. Ready to extend your summer fun? For more ideas on how to turn your outdoor spaces into your personal oasis, check out the summer edition of Natural Living.